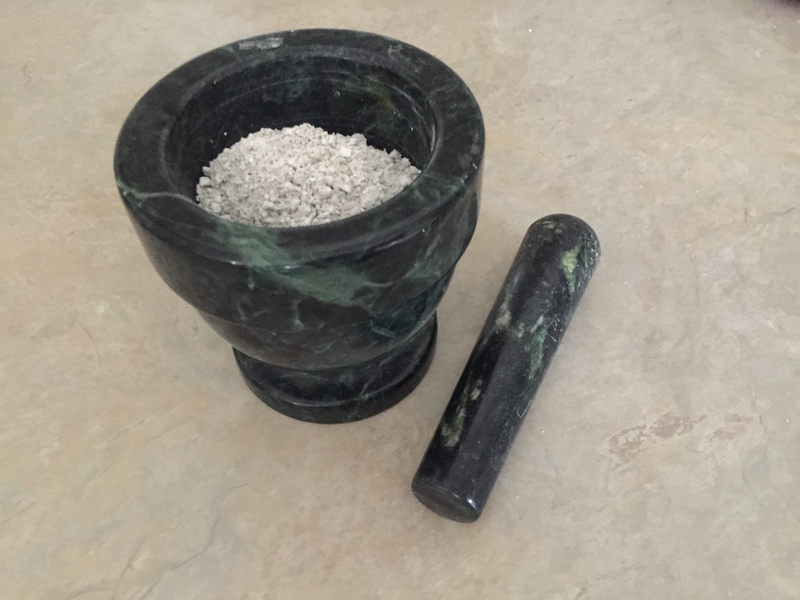 Ormus is normally high in magnesium due to the Dead Sea Salt so by adding gypsum powder to the mix this also adds a great source of calcium. Calcium works really well with Magnesium so this Ormus is even more beneficial for the entire body. 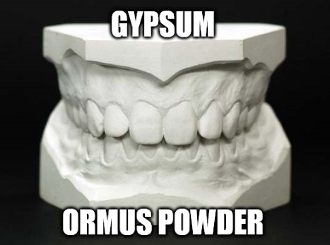 What is gypsum? What is it used for? Although it is not an herb, gypsum is nevertheless a vital component of traditional Chinese medicine. It is actually a mineral composed of calcium, sulfur and small amounts of other elements. Therefore it is used as a calcium dietary supplement today and even used to make tofu. The most common type of gypsum is fibrous gypsum, which is translucent and has a silky, satiny appearance. It is found throughout the world, especially in the states of Texas and Louisiana in the U.S., and the Hubei, Anhui, Henan and Shandong provinces of China. It is typically found in old ocean beds and sedimentary rocks such as limestone. In addition to its healing properties, gypsum is used for jewelry and as an ornamental stone. A fine-grained variety of gypsum, known as alabaster, is also used in the creation of ornaments and statues. In traditional Chinese medicine, gypsum has sweet, pungent and cold properties, and is associated with the Lung and Stomach meridians. Its main actions are to clear excess heat, particularly heat in the lungs and stomach. In modern times, gypsum is used for a variety of ailments, including high fevers, headaches, toothaches and painful gums. It is sometimes taken internally to quench one's thirst. Topically, gypsum can be applied to the skin to treat eczema, burns and some skin ulcers. It can be taken alone, but is usually employed with herbs such as indigo, coptis, ephedra and anemarrhea. Throughout history there are many physicians who are skilled at using selenite. But apparently Zhang Xichun, one of great scholar-physicians in China, is the best of the best. He highly regards the medicinal properties of this herb and ever boldly reviewed that: “Gypsum is the No. 1 herb that really has the power to revive the dying. It works just like a charm in treatment of excess-heat type exogenous diseases.” In the sixth of volume 4 in his famous medical work of Yi Xue Zhong Zhong Can Xi Lu (Records of Heart-Felt Experiences in Medicine with Reference to the West), there are 23 medical cases and 38 herbal prescriptions recorded in the chapter of seasonal febrile diseases. Among them, as many as 27 prescriptions are based on gypsum. One of the outstanding examples is that he was accustomed to using it together with aspirin and reportedly this strange combination worked wonders in many tricky illnesses. So, in terms of the uses for gypsum rock according to syndrome differentiation, doctor Zhang Xichun has played a very important role. In summary, it has two major health benefits – treating profusely sweating and extreme thirst. Calcium and magnesium are both essential minerals that function as electrolytes within the body. This means they help transmit electrical impulses between nerve and muscle cells, and also help balance the amount of fluid inside and outside of cells. Calcium and magnesium work closely together, and the level of each must remain in balance with the other to regulate blood pressure and maintain a steady heartbeat. Your body can, however, absorb calcium without magnesium. Calcium and magnesium play a vital role in regulating your heartbeat. Cells, including heart muscle cells, contain calcium inside of a specialized structure of the cell. The cell responds to electrical impulses by releasing calcium ions into the fluid portion of the cell therefore stimulating the cell to contract. The magnesium ions in the fluid portion of the cell produce electrical charges that force the calcium back into the cell structure, which triggers the cell to relax. Although magnesium does not affect the absorption of calcium in the body, it does control the transport of calcium across cell membranes. You must maintain a balance between calcium and magnesium to maintain a normal heartbeat and regulate your blood pressure. More than 75% of Americans are calcium deficient, and more than one in 10 Americans either has, or is at risk of developing, osteoporosis or other bone diseases. Worse than that, calcium deficiency is responsible for nearly 150 different degenerative diseases, including obesity, arthritis, fibromyalgia, acid reflux, high cholesterol, hypertension, allergies, cancer, and others.